When you are out on the roads, it's not difficult to spot people who have dangerous driving habits. Whether they are the result of a lack of education about safe driving practices or a matter of poor driving habits, these people present a danger to themselves as well as other drivers, passengers and pedestrians alike. There are several reasons why someone may not be a good driver. In some cases, such as with some newer drivers, a lack of experience may be the root of the problem. 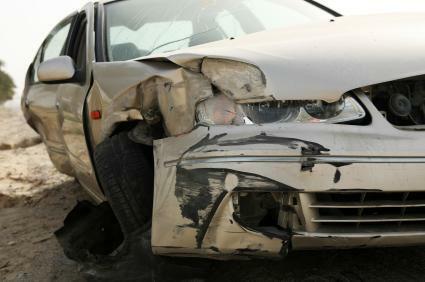 People who have been driving for some time are also at risk of having poor driving skills, too. For someone who has been licensed for some time, poor driving habits may be the result of feeling overconfident in their abilities. They may have been driving their vehicle for several years or have a specific route they take to and from work each day. It would be unwise for them to think that they can ever stop paying close attention to what is going on around them while driving, since something unexpected can happen in just a few seconds. Driving at an excessive rate of speed is quite common. This practice is especially dangerous when driving through a residential neighborhood or a school zone. Posted speed limits are not meant to be suggestions; ignore them and you run the risk of being stopped and ticketed by police. Some drivers fail to take into account the location where they are driving and drive at the same speed on the highway as they do in a residential area. A better strategy is to look at the posted speed limits and adjust your speed accordingly. Many people use cell phones on a regular basis to keep in touch with family, friends and work associates. The problem is that it's very difficult to keep your eyes on the road while talking on a cell phone. If you feel that you need to be accessible while driving, set your phone to hands-free and use the speaker feature. It may be tempting to try to multitask and have a snack (or a full meal) while driving, but this is not recommended. When you are behind the wheel of your vehicle, your full attention should be on what is happening around you on the road. Trying to eat while keeping control of your car is a difficult, if not impossible task. Some women, when pressed for time, continue with their morning rituals while on the way to work. More than one person has been observed trying to apply cosmetics when her attention should have been on the road. When a drivers uses the turn signals that their vehicle is equipped with properly, it give notice to other people on the road of their intention to change lanes or make a turn. Failing to do so may cause an accident, and may also be at the root of situations where a motorist has experienced the consequences of road rage. Even if you catch yourself being guilty of one of these dangerous driving habits, you can make changes to your driving routine to improve them. Being aware of what you are doing when you are behind the wheel is the first step. Make a point of focusing only on the road when you are driving, and if you need to eat, apply cosmetics, or make a phone call, pull over first. You may also want to sign up for a protective driving course to help you improve your driving skills.